This is the perfect exerciser for your baby. 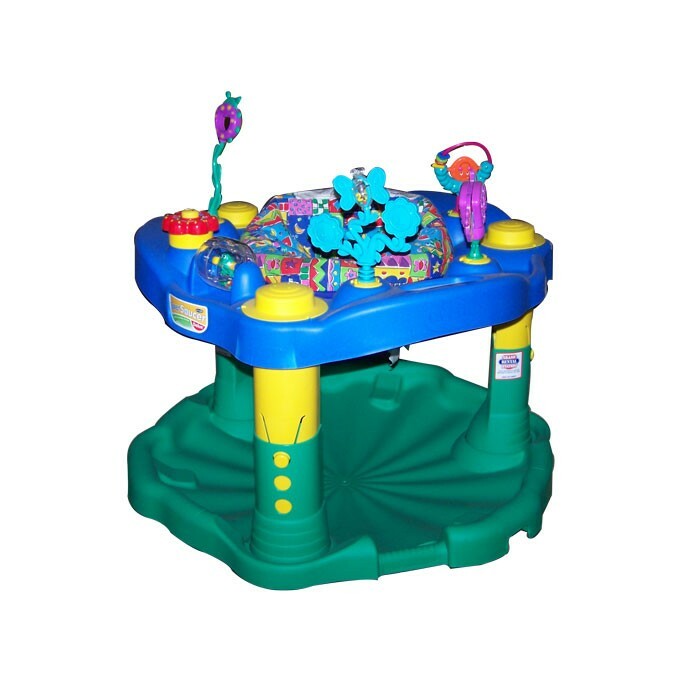 It has a variety of age appropriate toys and fun music. Your baby gets plenty of exercise with bounce, rock and swivel action. 3 position height adjustment. Four months to walking age. maximum child height of 30". A variety of colors and play toys.